Scholars have made urban mothers living in poverty a focus of their research for decades. These women’s lives can be difficult as they go about searching for housing and decent jobs and struggling to care for their children while surviving on welfare or working at low-wage service jobs and sometimes facing physical or mental health problems. But until now little attention has been paid to an important force in these women’s lives: religion. Based on in-depth interviews with women and pastors, Susan Crawford Sullivan presents poor mothers’ often overlooked views. Recruited from a variety of social service programs, most of the women do not attend religious services, due to logistical challenges or because they feel stigmatized and unwanted at church. Yet, she discovers, religious faith often plays a strong role in their lives as they contend with and try to make sense of the challenges they face. Supportive religious congregations prove important for women who are involved, she finds, but understanding everyday religion entails exploring beyond formal religious organizations. 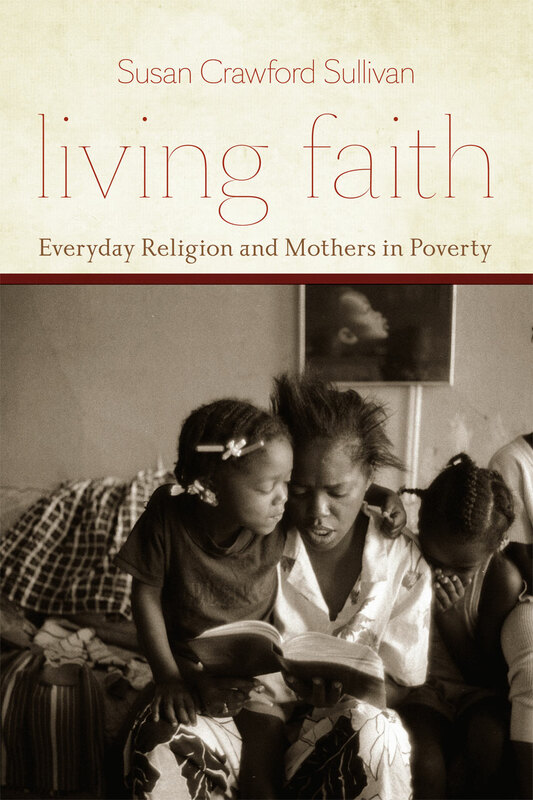 Offering a sophisticated analysis of how faith both motivates and at times constrains poor mothers’ actions, Living Faith reveals the ways it serves as a lens through which many view and interpret their worlds.